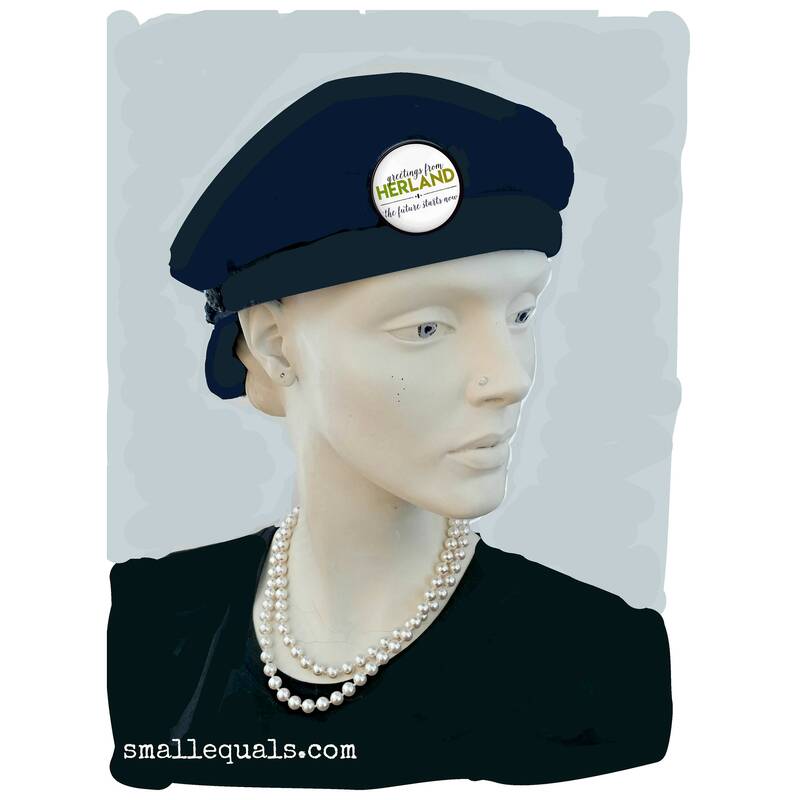 1.5 button from our HerLand Collection. The Future Starts Now. 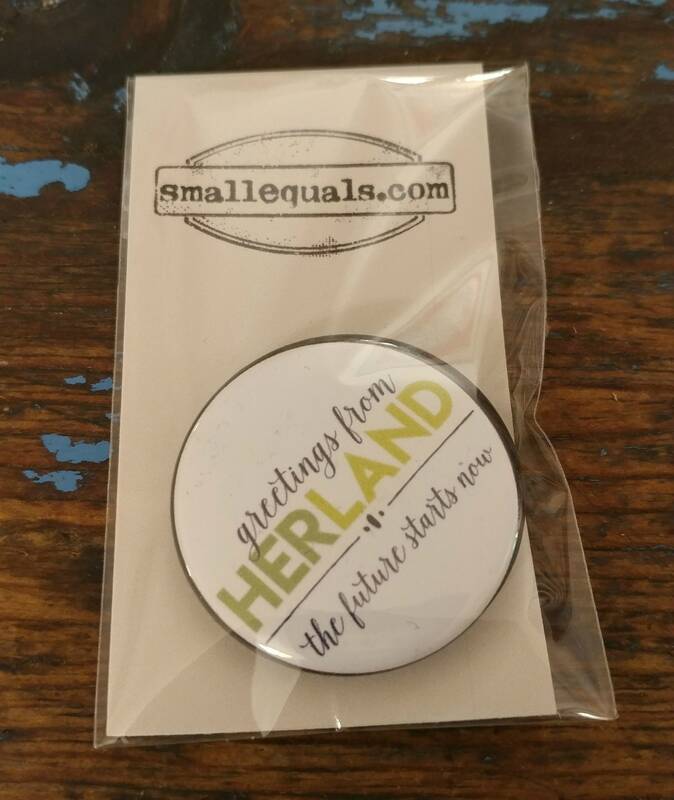 1.5" button from our HerLand Collection. The Future Starts Now. 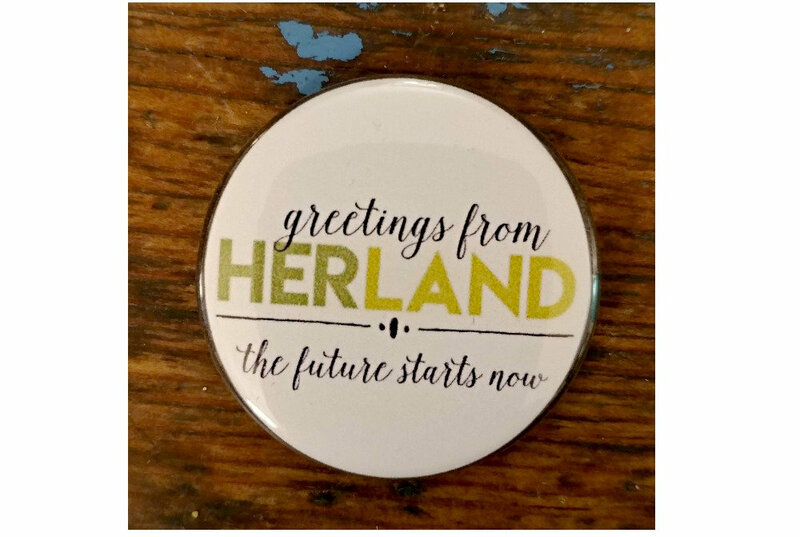 1.5" Pinback button "greetings from HerLand, The Future Starts Now." 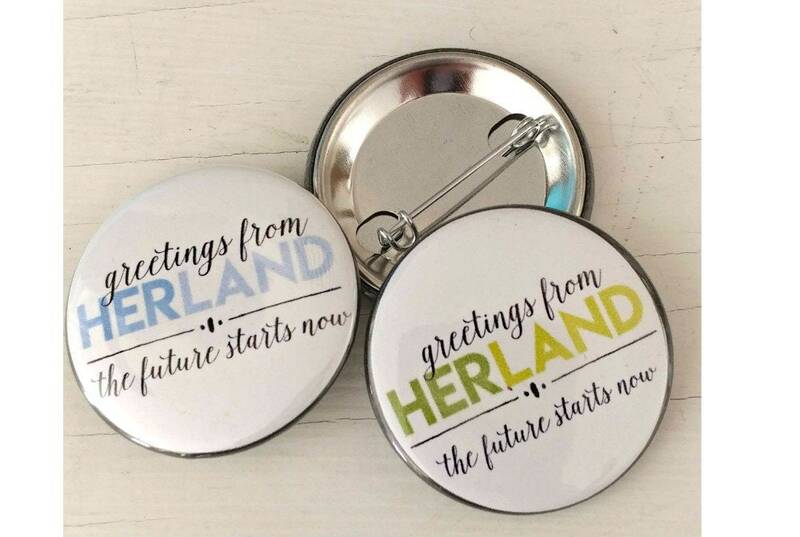 Pretty button with green or blue accents, part of our Herland collection which includes a pillow case, two mugs, and a keychain. Please choose your color selection when ordering. Made by hand in our studios, comes wrapped in a clear sealed bag for easy gift giving.